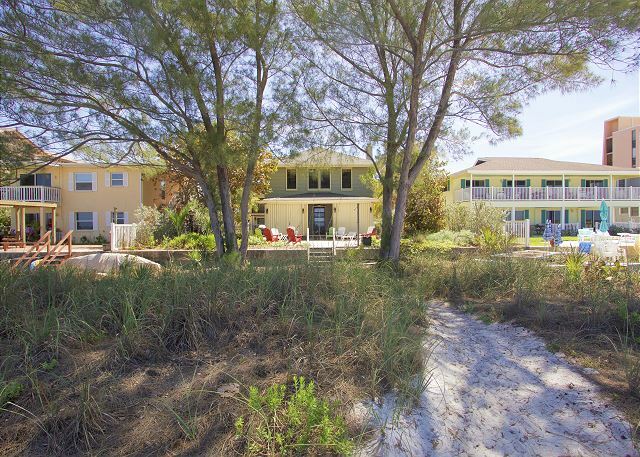 Beach rentals don't come better than this Florida beach rental house. 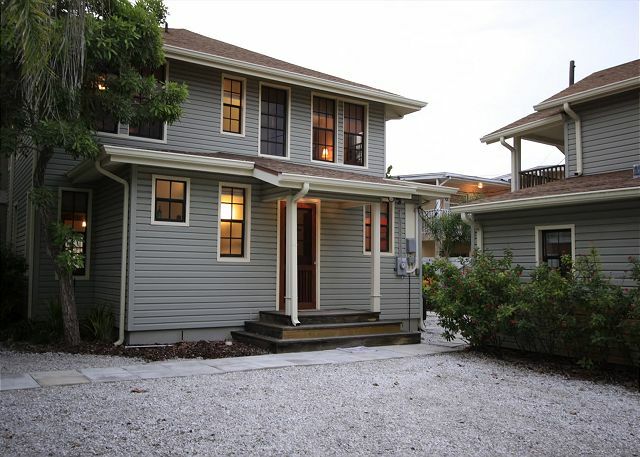 Modernized vintage-style beach rental houses directly on the Gulf of Mexico for a backyard. This two-story suite has a separate entrance for each floor. Downstairs offers a queen bed and full bath. The newly remodeled full bath is decorated in soothing tones. 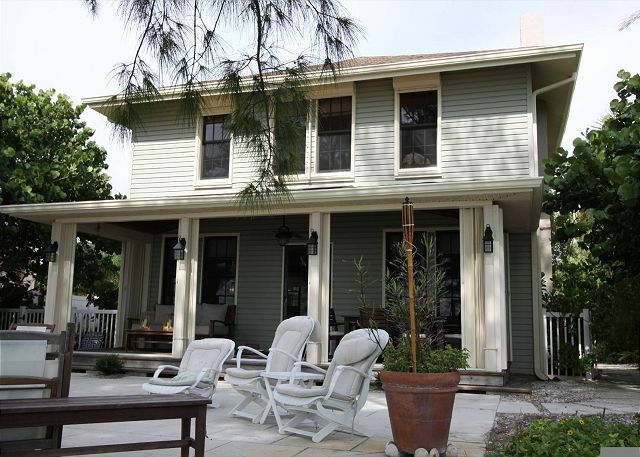 This is one of two distinctive Clearwater vacation rental houses together that has a sitting area and fully equipped kitchen with a dinette table. 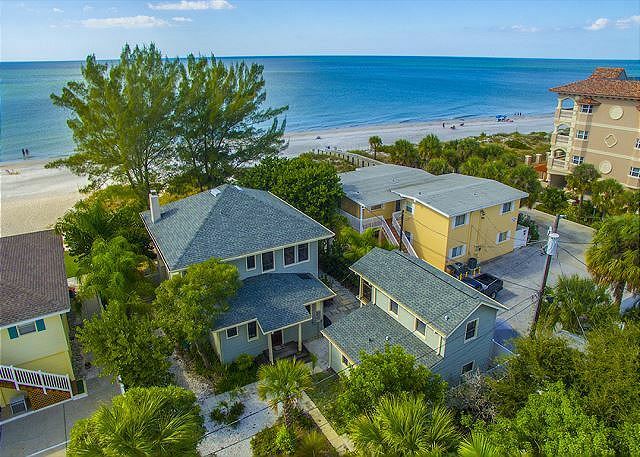 The Coquina Duplex Villa is compact but uses the space well, a perfect blend of historic beauty mixed with modern day conveniences. 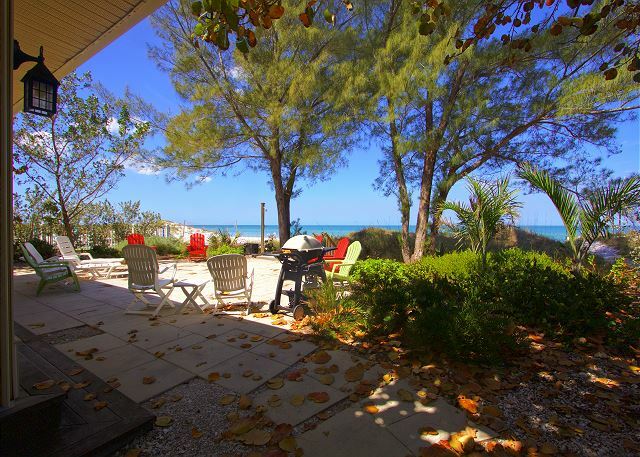 Located in Indian Rocks Beach,the villa is within walking distance to many restaurants and boat and fishing activiites. 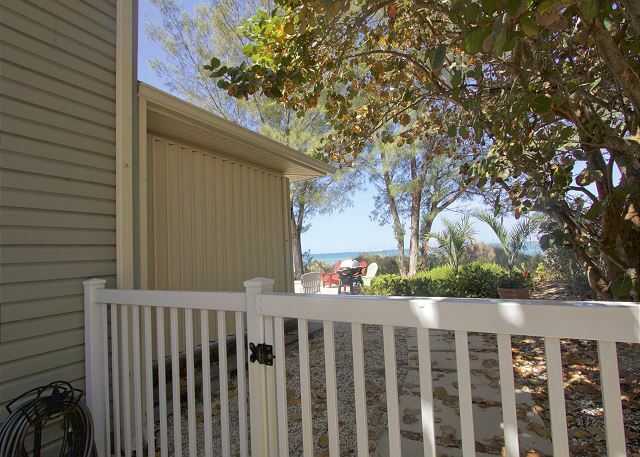 Rent this great space with the Coquina Beachside Retreat for larger parties. 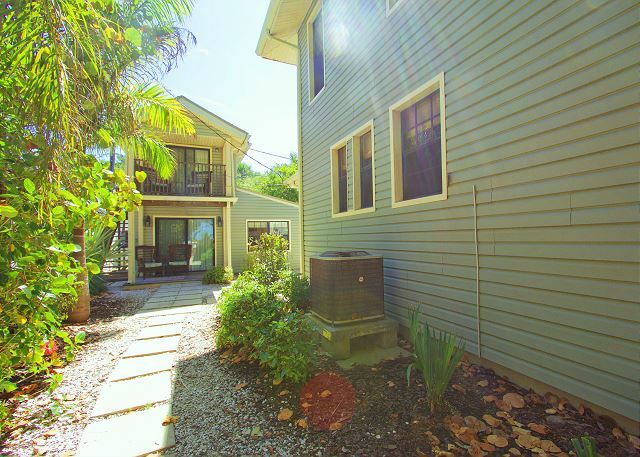 Awesome beach house villa, clean, centrally located on shared property with other house. Villa was smaller but well equipped for an enjoyable stay. The locals at Indian Rocks Beach were very kind and helpful during the stay. Met with some family for a long weekend at this wonderful home. Everything just as described and beach just steps from the door. The owner was very welcoming and great to work with. Wonderful experience and we hope to come back soon and stay in the larger home! Best Beachhouse on the Beach! We rented both the big house and the little house. We had a fantastic time. The lanai is amazing! It was cool even when it was 95 degrees out with the ocean breeze. It was the only spot that seemed shaded on the beach, but yet we still had an amazing ocean view. The big house itself is gorgeous - much nicer than the photos make it appear. The owner is super nice and goes above and beyond to think of items might need during their stay. For example, she had beach toys for the kids, bones for the dogs, and all the spices and paper products that we needed. 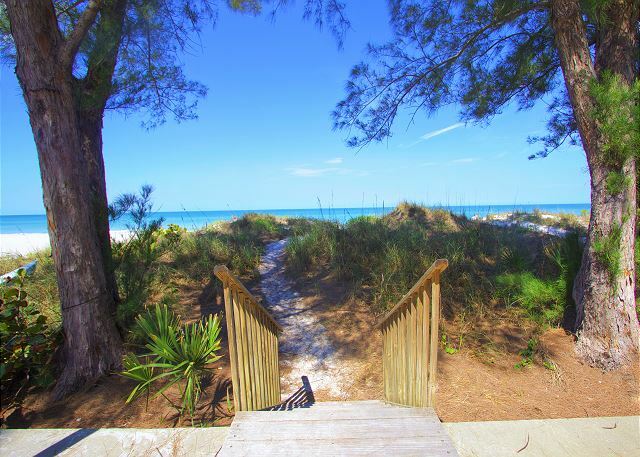 You couldn't ask for a better location either - beautiful beach, grocery stores and Target nearby, yummy restaurants and an ice cream shop within close walking distance, on the bus stop to Clearwater, and a great wine and craft beer store around the corner. They were both kept very clean - the only reason I gave 4 stars instead of 5 is that the windows needed to be clean and some of the dishes had hard-water stains/whiteness on them. Overall - great - we would rent again. Probably the best beach house on te west coast. Very affordable, very spacious, perfectly located and kept immaculate. My family had a great time this Thanksgiving there. We will be back there soon.